If your inner voice inspires you to uplift others, you can help them overcome communication disorders. 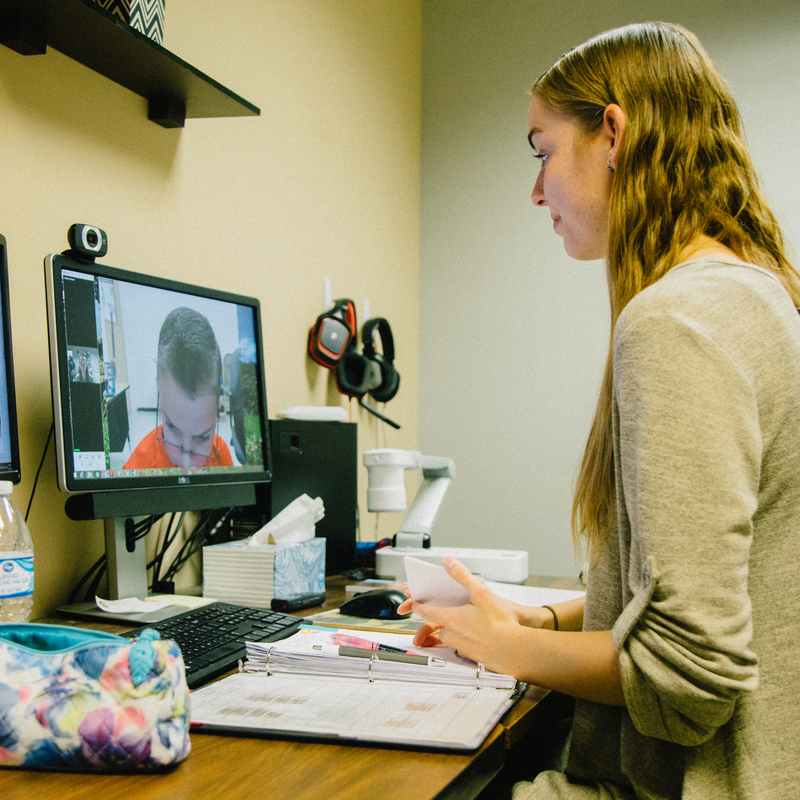 The Department of Communication Sciences and Disorders at Fort Hays State University provides students with applied learning through clinical experiences at the undergraduate and graduate level on and off campus. The department's content instruction, paired with applied experiences, equips undergraduate and graduate students to be positive, effective collaborators in educational and healthcare settings. Our undergraduate and graduate degrees in Communication Sciences and Disorders will prepare you for a fulfilling career that will also make a real difference in supporting the improvement in people’s lives. With a 100 percent career-placement rate for the last four years, our education and our supportive staff will help ensure a future where you can change your life, while changing others’ lives in the process. 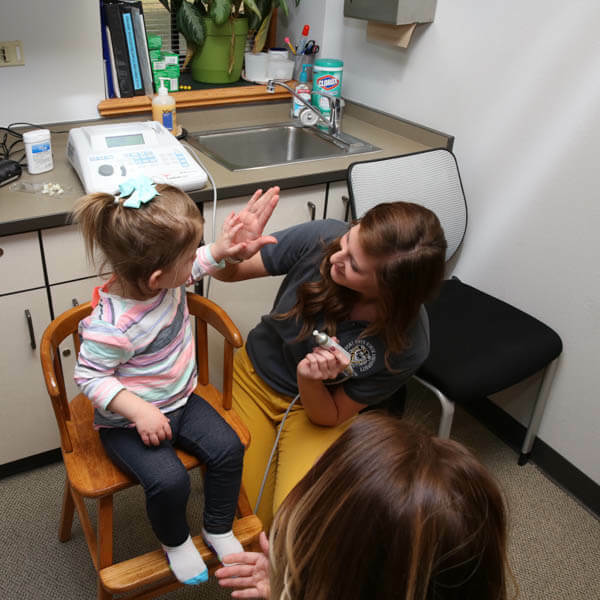 The department offers an undergraduate degree that effectively prepares students for graduate study in speech-language pathology or audiology as well jobs in the health care and education field.  Discover more about the programs that can propel you forward in your career. 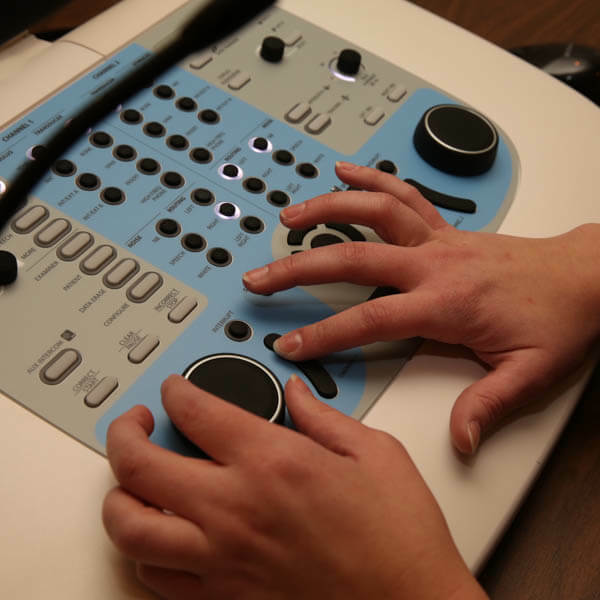 Graduates from the Department of Communication Sciences and Disorders are highly sought-after audiologists, speech-language therapists and more. You will join the ranks of our accomplished alumni working in a variety of healthcare settings. With an excellent academic program and a network of alumni across different sectors, you will be ready to pursue your own career after completing our program.